You don't want to be left stranded RIGHT when you're on your way to the airport or there's a blizzard outside do you? That's why it is important to have a car jump starter kit in your car at all times. This way, you can easily sort any problems you may encounter when your car fails to start (well, not all of them). Some people may opt to call for road assistance but this option is costly. 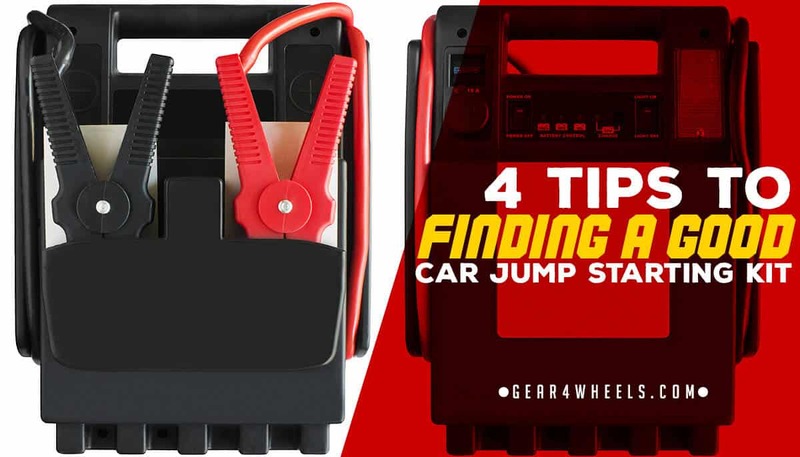 You simply need a jump starter kit to jump start your car in case it fails to start. The main challenge though is to find a good car jump starter kit. If you are looking for a car jump starter kit, read online reviews and also check in stores for available options. It is also a good idea to consult experts in automobiles for professional guidance. Remember you also need to read instructions on the manuals for car jump starter kit. This will help you know if the kit is the right one for you or not. Reading reviews on various new kits available in the market will also make it easier for you to get a good car jump starter kit. In order to get value for your money, opt for a durable car jump starter kit. Outer shell has a high wear and tear resistance features. Plastic is a high resistance material. You ideally want to look for starters with a hard plastic outer shell. It is important to opt for a jump starter kit that has high resistance. This way, its performance is not compromised during hot weather. Before you buy the kit, it is a good idea to read through the instructions to know the operating and storage maximum temperature. Opt for the kit that can withstand higher temperatures. During hot weather, avoid carrying the kit if you are traveling short distance. It is also a good idea to store the kit at a cooler place for long-distance travel. A jump starter kit does not come cheap. It is therefore good to opt for one that gives you more value such as one that has features that incorporate smart technology. Don't confuse a quick starter with a battery charger, as while the latter can definitely used as quickstarters, the first are more portable and are only mention for a quick burst of power. A surprisingly common mistake is to think that quickstarters are ultrafast chargers. It's the alternator that'll do the charge after the start. Opt for those jump starters that are error proof, and protected from overcharging reverse polarity and overloading.